Two gross Halloween clip art images of cockroaches and a tarantula. YUCK. A cute and curvy pirate girl holds a pumpkin in this free clip art image. 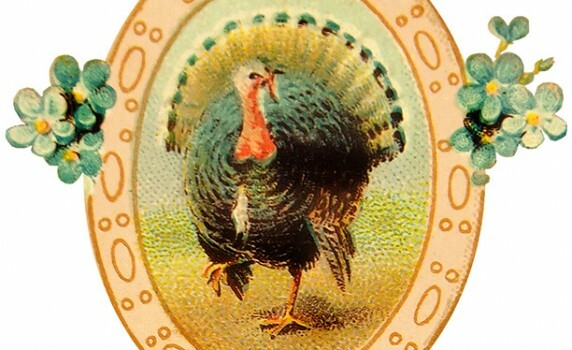 A free printable old-fashioned Thanksgiving turkey image from an early 1900’s postcard.